Data Entry Test is a software program developed by TestedOk Software. We know of versions 5.5, 5.0. Version 5.5.1 is downloadable at our site. Data Entry Test installation file has a size of 918,788 bytes. 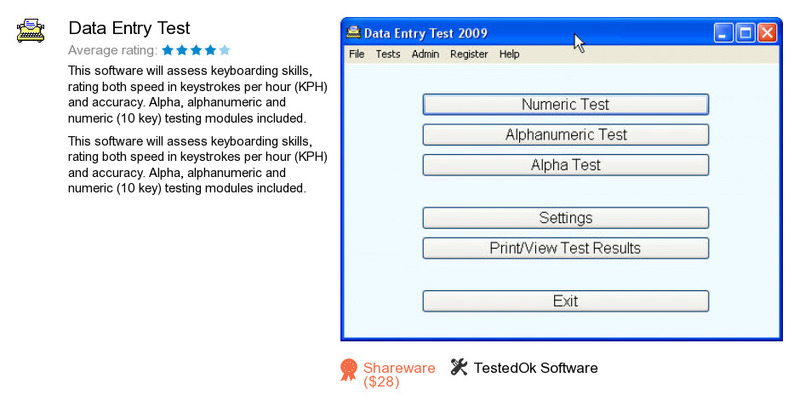 TestedOk Software also publishes Keyboarding Skills Test and Speed Typing Test 2000. As TestedOk Software says: How fast can you key?